A video from Mapleton, North Dakota, has surfaced where a woman was portrayed as threatening to kill Muslim women. 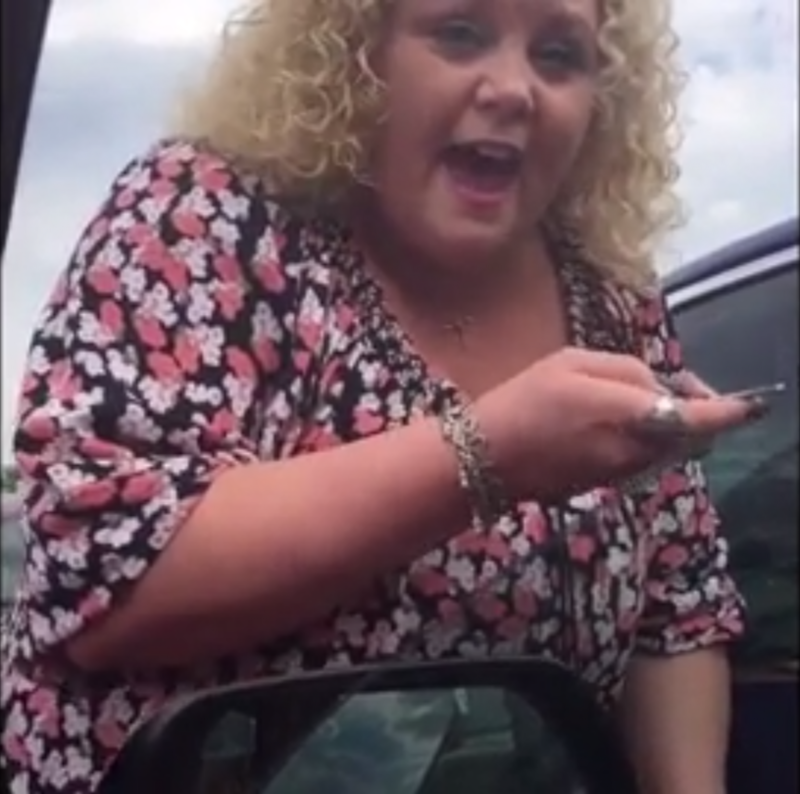 Amber Hensley is the woman in question and she can be seen in the video yelling at some Somali-American woman who were just waiting in their car outside a Walmart. “We’re gonna kill all of ya, we’re going to kill every one of you f**king Muslims,” Hensley yells. Sarah Hassan was one of the woman in the video and she was interviewed by WDAY and she told them she “wanted everyone to see what happens” to them “every day.” Hassan, 21, was accompanied in her car with her sister Leyla, 20, and their friend Rowda, aged 23. The video quickly went viral, which triggered an apology from Hensley in a Facebook comment. She was not only excoriated online. Hensley’s employer, an accounting firm, revealed that she had been fired from her job in a statement. Hensley claimed the incident happened because she asked the women if they knew “who Jesus was” and the women allegedly said “f**k Jesus” which caused her to unleash the diatribe caught on video. Obviously this video caused strong reactions on both sides. Some defended Hensley, saying the Muslim women refused to move their car, escalating the situation. It perhaps sounds like a “he-said, she-said” situation. How would you have handled it?